As U.S. pharmaceutical companies have removed medicines from the market to prevent states from obtaining them for executions, states have turned to alternatives, like the sedative midazolam. Dr. Armin Walser, who was part of the team that invented the drug in the 1970s, is dismayed at that development. “I didn’t make it for the purpose” of executing prisoners, Dr. Walser told The New York Times. 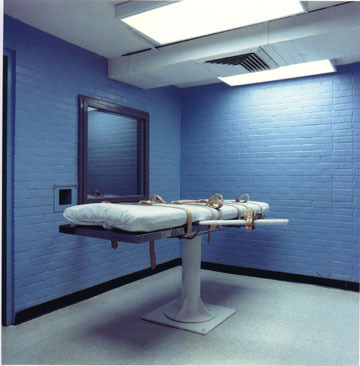 “I am not a friend of the death penalty or execution.” For most of midazolam's history, the medicine was used only for its intended purpose: as a sedative in procedures like colonoscopies and cardiac catheterizations. Since 2009, however, six states have used it to carry out a total of 20 executions. Midazolam's use in executions has been marked by controversy because, critics argue, it is a sedative, not an anesthetic, and does not adequately anesthetize the condemned prisoner before painful execution drugs are administered. Megan McCracken, a specialist in lethal injection litigation with the University of California-Berkeley law school said, “Time and time again when you see executions with midazolam, you see, at best, surprises and, at worst, very bad executions.” Midazolam was used in the botched executions of Dennis McGuire in Ohio, Clayton Lockett in Oklahoma, Joseph Wood in Arizona, and Ronald Smith in Alabama. In January 2017, a federal magistrate judge barred Ohio from using midazolam in executions, saying that its use presented a substantial and objectively intolerable risk of serious pain and suffering during executions. As a result of litigation challenging Arizona's lethal injection protocol in the wake of Wood's execution, that state agreed that it would never again use midazolam. The manufacturer of the drug has said it “did not supply midazolam for death penalty use and would not knowingly provide any of our medicines for this purpose," leaving states to turn to alternative suppliers if they want to continue using midazolam in executions. Walser said that, when he learned about midazolam's use in executions, "I didn't feel good about it." DPIC Analysis: What is the Most Executions Conducted in the U.S. in the Shortest Time Span? Top row, from left to right: Bruce Ward, Marcel Williams, Jason McGehee, and Kenneth Williams. Botton row, Stacey Johnson, Ledell Lee, Don Davis, and Jack Jones. Photos by Arkansas Department of Corrections. On February 27, 2017, Arkansas Governor Asa Hutchinson signed orders for an unprecedented eight executions to be carried out over a period of eleven days in April. The scheduled dates for the four sets of double executions are: April 17, Bruce Ward and Don Davis; April 20, Stacey Johnson and Ledell Lee; April 24, Jack Jones and Marcel Williams; and April 27, Kenneth Williams and Jason McGehee. Arkansas Attorney General Leslie Rutledge had asked that the dates be set after the U.S. Supreme Court on February 21 declined to review a state court decision upholding Arkansas' lethal injection protocol. After Governor Hutchinson issued the execution orders, we received a flurry of press inquiries asking whether any state had carried out so many executions in such a short time span. We looked into this and found that, since states resumed executions in the 1970s, no state has ever executed eight prisoners in eleven days. Only one state—Texas—has ever executed 8 prisoners in a calendar month. That has occurred only twice (in back to back months), when Texas conducted eight executions in both May and June of 1997. Scheduling two or more executions on the same day is also unusual. It has happened just ten times in the past forty years, all between 1994 and 2000. The last time it occurred was when Texas executed Brian Roberson and Oliver Cruz on August 9, 2000. Only four states have carried out multiple executions on the same day: Arkansas (4 times), Texas (3 times), Illinois (twice), and South Carolina (once). Arkansas is the only state to have conducted triple executions, which it has done twice—on August 3, 1994 and January 8, 1997. No state has carried out more than one double execution in the same week. The shortest time span between multiple executions in any state is 84 days: Arkansas executed Edward Pickens and Jonas Whitmore on May 11, 1994 and co-defendants James Holmes, Darryl Richley, and Hoyt Clines on August 3 of that year. The hurried schedule in Arkansas appears to be an attempt to use the state's extant supply of eight doses of midazolam, which are to expire at the end of April 2017. At the time the execution schedule was announced, Arkansas did not have a supply of potassium chloride, the killing drug specified in its execution protocol, but has subsequently announced that it has obtain sufficient supplies of that drug to carry out the scheduled executions. No state has successfully executed two prisoners on the same day using midazolam. Oklahoma attempted to do so on April 29, 2014, but called off the second execution after the botched execution of Clayton Lockett earlier that night. The eight prisoners scheduled for execution make up 23% of Arkansas' current death row. Here are the two calendar months in which Texas executed 8 prisoners. To determine the most executions in any 11-day period in the modern era of the United States’ death penalty, we wrote a custom program to search our execution database. The answer? From December 4-12, 2002, 6 states conducted a combined total of 9 executions in 9 days. The shortest time span in which 8 executions were carried out occurred during part of that same 9-day span. In the 7 days from Dec. 6-12, 2002, 6 states conducted a combined 8 executions. Then, from April 28-May 5, 1999, 5 states executed a total of 8 prisoners in 8 days. In another overlapping 9-day span, 6 states carried out a combined total of 8 executions from Dec. 9-17, 2002. Here are the search results. We also checked to see the most number of prisoners a single state had executed over any 11-day period in the modern era. The answer is 6. Texas executed 6 prisoners in 10 days twice, once in the 10 days from May 13-22, 1997 and a second time in the 10 days from January 18-27, 2000. On April 17, 2017, the Arkansas Supreme Court granted stays of execution to Bruce Ward and Don Davis, both of whom were scheduled to be executed that day. The court had previously issued Ward a stay on other grounds. In addition, the federal district court had granted a separate stay of execution to Jason McGehee, who had been scheduled to be executed on April 27. In the modern history of the U.S. death penalty, no state has executed more than five prisoners in an eight-day time span. Texas is the only state to have done so—in May and June of 1997 and in two overlapping eight-day periods in January 2000. Arkansas executions would tie the state for the most executions in an eight-day-period. The DPIC execution database is available to the public at /views-executions. In an expansion of their stance opposing nurse participation in executions, the American Nurses Association (ANA) announced on February 21, 2017 that the organization now for the first time opposes capital punishment itself. "Capital punishment is a human rights violation, and ANA is proud to stand in strong opposition to the death penalty," ANA President Pamela F. Cipriano said. "All human beings, regardless of their crimes, should be treated with dignity. For those states where capital punishment is currently legal, the American Nurses Association will continue to provide ethical guidance, education, and resources for nurses and other health care providers dealing with these ethical dilemmas." The ANA had long opposed nurses participating in the death penalty in any role, adopting that position in 1983. “The drafters of the subcommittee were initially supporters of the death penalty until they started doing research," Liz Stokes, the senior policy advisor for the ANA Center for Ethics and Human Rights, said. But as they studied the issue, she said, they were moved by the body of evidence showing problems in the way it was administered. Ultimately, the ANA’s board of directors unanimously adopted the new position. The ANA statement offers nine reasons for the association's opposition to the death penalty, including racially and geographically biased application, the risk of executing innocent people, botched executions, and high costs. The new position aligns with the International Council of Nurses, which "considers the death penalty to be cruel, inhuman and unacceptable," and reflects a growing consensus among medical organizations that participation in executions by medical professionals is unethical. The American Medical Association, American Board of Anesthesiology, and American Pharmacists Association, among others, have discouraged or forbidden their members from participating in executions and American pharmaceutical manufacturers have adopted policies seeking to prevent misuse of their medicines as execution drugs. In a guest column for the Cleveland Plain Dealer, retired federal appeals court judge Nathaniel R. Jones (pictured) urged Ohio to "reconsider its race to death" in scheduling executions while the constitutionality of the state's lethal injection process remains in question. Jones, who served on the United States Court of Appeals for the Sixth Circuit from 1979 to 2002, criticized the state's proposed use of the drug midazolam in executions, describing Ohio's 2014 execution of Dennis McGuire using the drug, in which witnesses said McGuire "gasped loudly for air and made snorting and choking sounds for as long as 26 minutes" before dying. In its aftermath, Ohio temporarily halted executions and announced that it would not use midazolam—which has now been implicated in botched executions in four states—in the future. Jones wrote that, since the McGuire execution, "even more information has emerged about how unsuitable midazolam is for lethal injection." But despite its prior announcement and the additional evidence concerning midazolam, Ohio in 2016 proposed a new three-drug protocol that included midazolam as the first drug, and the state is defending that protocol in court. After a five-day hearing in which the court heard extensive expert testimony, U.S. Magistrate Judge Michael Merz held that Ohio had failed to prove that midazolam does not present a substantial risk of harm and declared the state's proposed execution protocol unconstitutional. Despite the on-going litigation, Ohio set new execution dates both before and after the hearing. "Ohio officials must not risk another unconstitutional execution," Jones wrote. "That can be done only by placing executions on hold while courts take the time necessary to consider whether Ohio's problematic protocol passes constitutional muster." He called on Ohio officials "to agree not to resume executions until the courts determine a lawful method." On February 10, Ohio Governor John Kasich announced that he was rescheduling eight executions as the state appealed the magistrate judge's ruling. The earliest execution, which had previously been scheduled for February 15, was moved to May 10. After receiving evidence during a five-day hearing, U.S. Magistrate Judge Michael R. Merz ruled on January 26 that Ohio's lethal injection process will create a substantial and objectively intolerable risk of serious harm in violation of the Eighth Amendment. Based on that ruling, the court issued a preliminary injunction staying the executions of Ronald Phillips, Raymond Tibbetts, and Gary Otte. Ohio has not conducted an execution since January 2014, when it used a combination of the drugs midazolam and hydromorphone in the 26-minute long botched execution of Dennis McGuire. In January 2015, Ohio changed its protocol and removed the controversial drug midazolam, only to announce in October 2016 that it had changed course and would use midazolam in upcoming executions as part of a three-drug protocol. Ohio's proposed protocol consisted of: midazolam, a sedative the state claimed would anesthetize the prisoner; then a drug that causes complete muscle paralysis and consequently suffocation; followed by potassium chloride to ultimately stop the heart. The second and third drugs will cause excruitating pain and suffering if given to a person who is not properly anesthetized. Numerous medical experts have asserted that midazolam does not anesthetize a person sufficiently to prevent experiencing intense pain from the other drugs, but a number of states have nevertheless continued to use the drug in executions. In addition to Ohio, Arizona, Oklahoma, and Alabama all have conducted visibly problematic executions with midazolam. Florida, which has carried out more executions with midazolam than any other state, recently changed its protocol to abandon use of the drug. Judge Merz credited the testimony of scientific experts, finding that "midazolam does not have the same pharmacologic effect on persons being executed as the barbiturates thiopental sodium and pentobarbital." 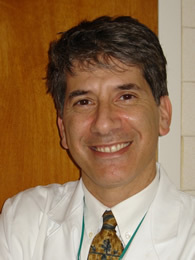 The magistrate judge rejected Ohio's argument that midazolam would cause the prisoner to forget any pain he might experience during the execution, writing, "That does not mean the pain was not inflicted and the Supreme Court has yet to tell us that inflicted pain that is not remembered does not count as severe pain for Eighth Amendment purposes." Under the doctrine of "judicial estoppel," the court also blocked the state from using the proposed second and third drugs because it had relied on abandoning their use as grounds for winning a prior lawsuit in 2009. The court said applying the estoppel rule was necessary to "prevent a party from abusing the judicial process through cynical gamesmanship." In a new setback to efforts to restart executions in California, the state's Office of Administrative Law (OAL) has rejected the new lethal injection protocol proposed by the California Department of Corrections and Rehabilitation. On December 28, 2016, the OAL, which is responsible for reviewing regulatory changes proposed in California, issued a 25-page decision of disapproval, citing inconsistencies, inadequate justification for certain parts of the proposal, and a failure to adequately respond to public comments. The agency gave the Department of Corrections four months to address problems in the protocol. The proposed protocol would have changed California's previous three-drug procedure to a one-drug procedure, calling for 7.5 grams of one of four barbiturates. The OAL questioned whether the 7.5 gram dose met California's requirement that a regulation be "necessary," noting that corrections officials had said 5 grams of the barbiturate would be lethal and had provided no rationale as to why they chose a larger dose. It also requested clarification of numerous ambiguities in the new regulations, including the steps taken by correctional officials in the days leading up to the execution, what steps would be taken during the course of an execution if the prisoner did not immediately die, and what would be involved in monthly inspections of the execution chamber. Among the inadequate responses to public comments, the OAL noted that "[t]he Department's response does not address the issue of 'using methods that are untested or poorly understood' or 'human experimentation' as it pertains to the use ... for lethal injection purposes" of two of the drugs in the protocol. Executions in California have been on hold since 2006 because of legal challenges to the state's lethal injection procedure. In November, voters narrowly passed Proposition 66, which proposes to speed up executions. Implementation of that proposition was blocked by the California Supreme Court, pending the outcome of a lawsuit.